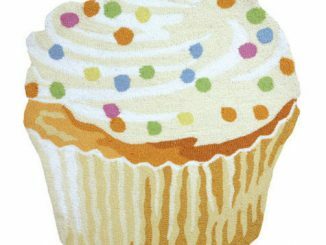 That’s not a cupcake. 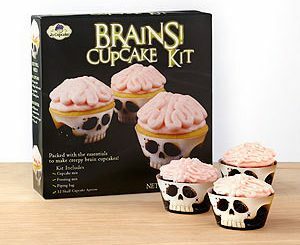 This is a cupcake! 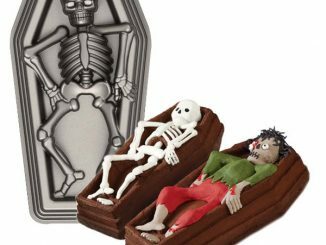 Here at GeekAlerts, we dig sweets that come in mind-blowing, supersized versions of their known selves. 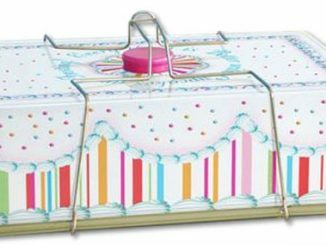 Maybe you’ve clued into this pattern after repeatedly seeing giant food things we’ve posted, like the Perfect Endings Peanut Butter Cup Cake, the Giant Party Gummy Bears, and the Giant Box of Nerds Candy. 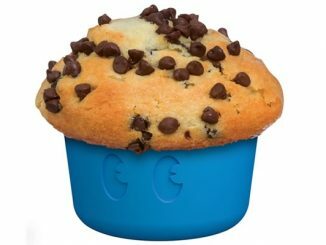 When one normal-sized cupcake only has you craving more, it’s time to bake yourself a monster-sized one using the Wilton Giant Cupcake Pan. 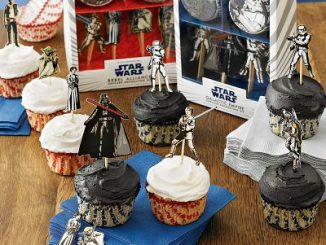 Creates a big 3-D cupcake for the whole party to share! Assemble top and bottom cake halves with a thin layer of icing. Professional weight, cast aluminum for exceptional detail. 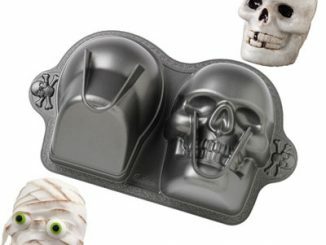 Premium non-stick surface for easy release and cleanup. Baking a huge cupcake cake is the way to go when you don’t have sophisticated cake making and decorating skills. 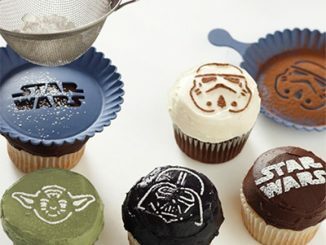 Even if you use store-bought cake mix and frosting, the final product is going look fantastic. 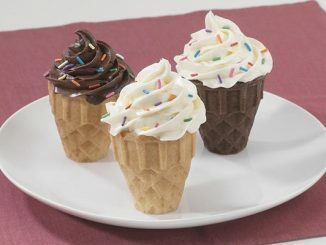 Use frosting to bind the two halves together like glue, and then frost the cone-shaped top following its decorative pattern. The most important step is to throw a ton of sprinkles on top. How hard can it be? 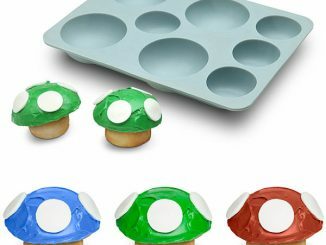 Purchase your own Wilton Giant Cupcake Pan for $32.99 with free shipping at Amazon.com. 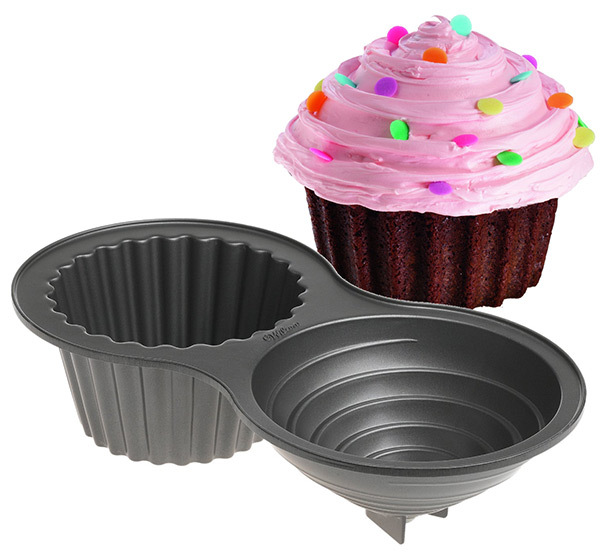 If money is tight and you don’t need commercial quality bakeware, consider the Fox Run Giant Cupcake Pan for only $14.95.